Ten years of Marvel characters unite on this purse! 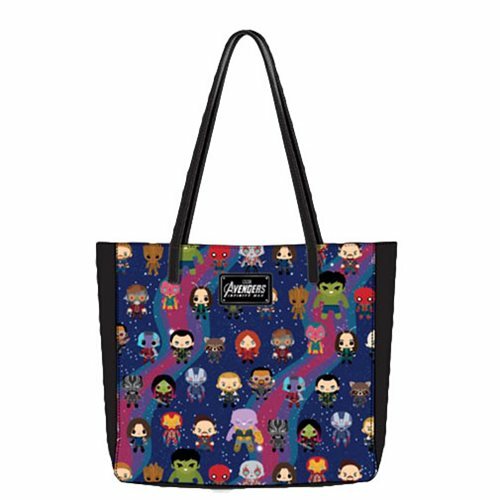 The Avengers Chibi Print Tote Purse is made of faux leather with a magnetic snap closure. Measures approximately 14-inches X 14-inches X 6-inches.